Oh, Jackson. Things have been super busy lately hence the late posting and combined 7 and 8 month catchup. So much has happened, but the main change is the crawling. Wow, are you mobile kid! I was terrified to have a second child on the move. 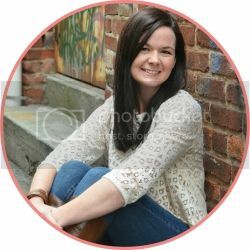 I thought I was happy with things just the way they were, but mobility...it's so much better! You keep yourself very entertained toodling around the house. I've had to do some deeper cleaning and keep my eyes out for tiny little big brother toys, but other than that, the crawling has kept us both very happy. I have to say your big brother unknowingly ruined some of your potential fun. I remember letting him drag everything out of the pantry and play in the dishwasher and drag out all the tupperware...sorry kid...mommy got smarter...and a little lazier. I do pull out pots and pans for you every now and then, but you mostly you find your fun going behind your big bro's back to play with his toys. Your personality is starting to spill out. Although you are mostly made up of sweetness, smiles and happy faces, you have a sneakiness about you. You know the exact moment to make your move to grab the coveted big boy trucks or Ethan's favorite guitar. You will throw a sly glance back my way with the biggest grin. I love it. 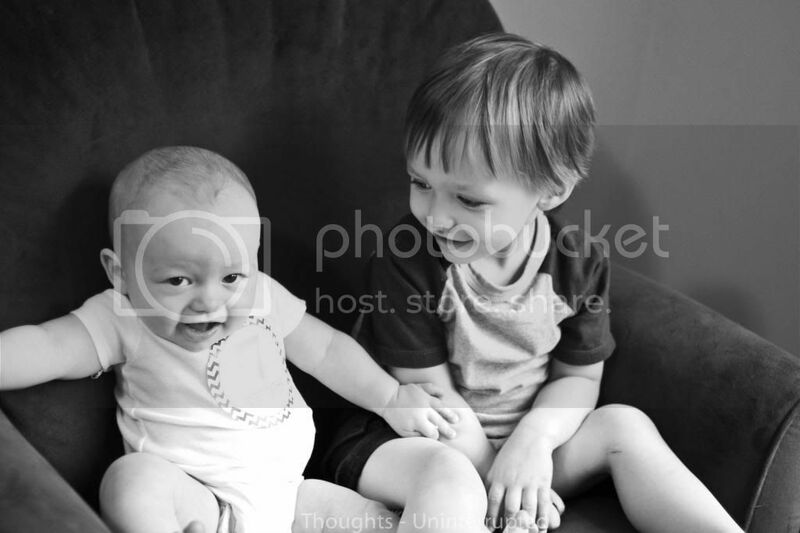 I was once worried that your spirited big brother would push you around and possibly overshadow you, but you are showing signs of being able to hold your own. You will be quiet but fierce. I no longer fear that you will be overcome by your big brother, but I think you both will be able to stand your ground in different ways. Things will more than likely get interesting between the two of you as you grow up. You still only have two teeth at the moment, but I see lots of tooth buds popping up so I just know you will have a mouth full soon. You so badly want to eat like everyone else, but have not been able to figure out how to chew until just a few weeks ago. We are now starting on some puff and I hope to move you on to soft bits of fruits and veggies soon. You love your purees. You eat 4-6oz in the morning, 8 oz for lunch, and between 8-12 oz at night. We said goodbye to breastfeeding at the end of 6 months and you are currently drinking four 6oz bottles a day of formula. We also started on a sippy cup of water soon after we consistently found you stealing your brothers. You haven't quite figured it out yet, but you are just happy to have one. You are weighing in at 18lbs 6oz and measuring 27in. You are mostly wearing 9 month or 12 month clothes and still no shoes. As for sleeping you are now completely sleeping through the night (Hallelujah!). You take two naps during the day, usually about an hour long and your favorite time of the day is bath time. 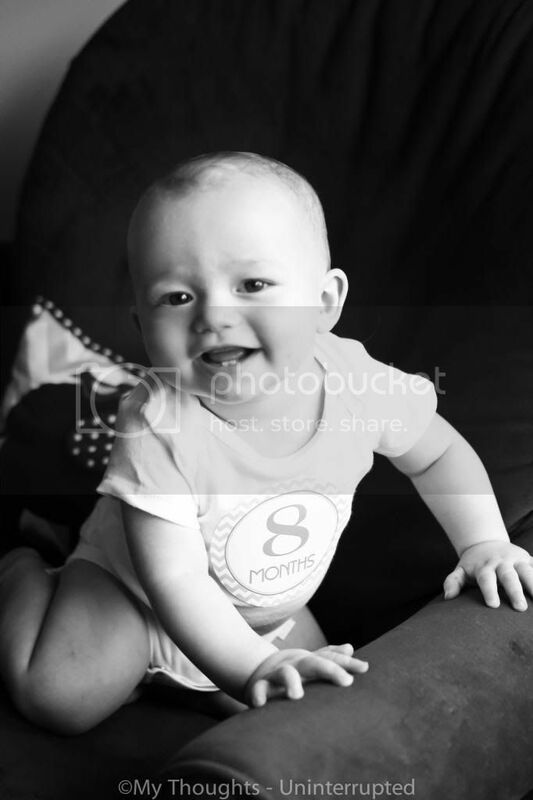 I love you my sweet boy and am excited for all the fun things to come. You are growing too fast, but we are making sure to take it all in. 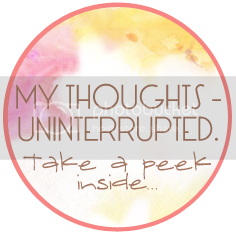 Post by My Thoughts - Uninterrupted. 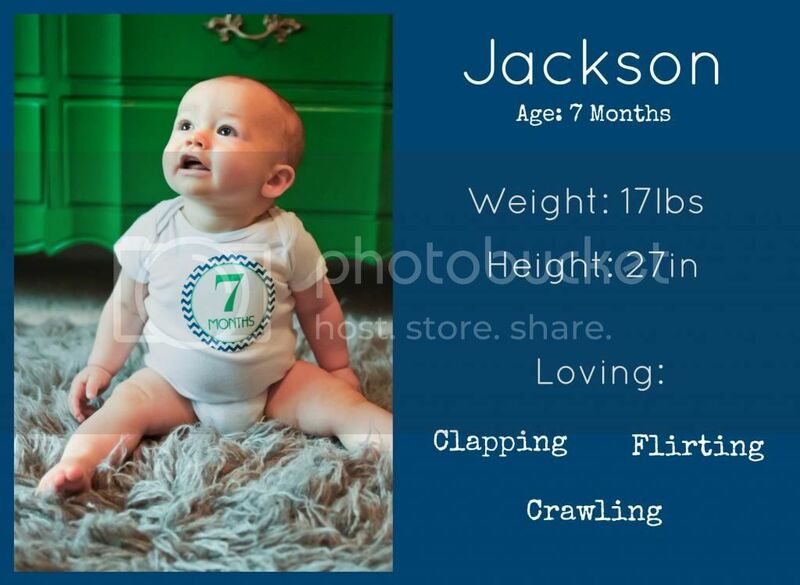 Your Jackson is just adorable. 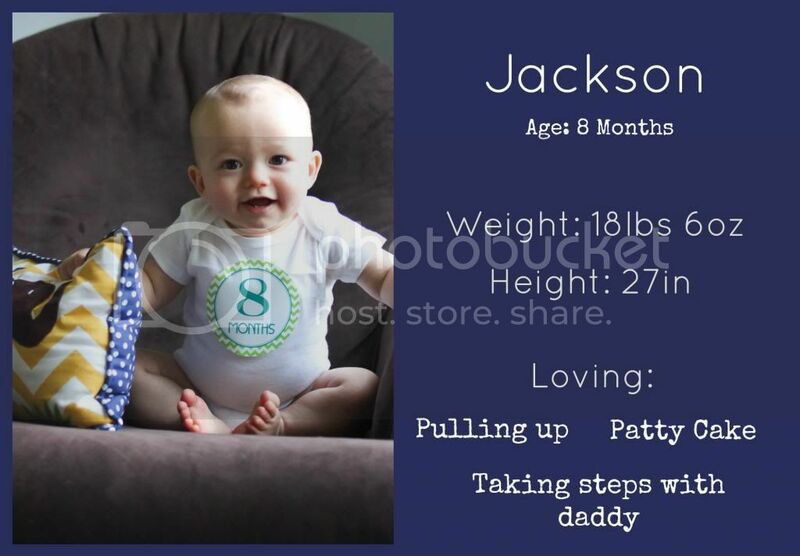 I too have a Jackson but mine is well past baby stage and is in first grade. So cute and getting so big!